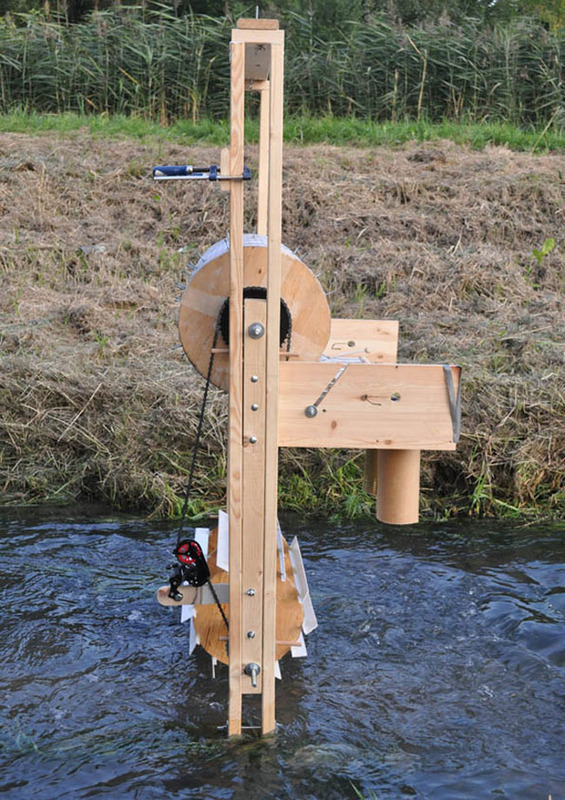 His latest project Quantum is a water-driven music machine, a collaboration with his girlfriend architect Agata Sander. 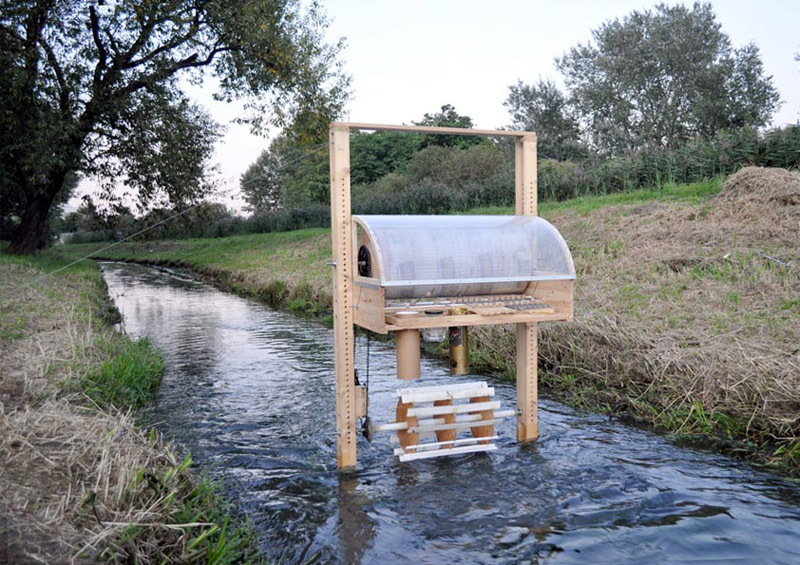 A site-specific sculpture, made for a canal in Warsaw, that plays a single song, much in the way a player piano does, but driven by the water’s movement. Perry’s work is classified as sculptural but there seems to be a performance quality to many of the pieces as well. His K.Y.S. (love, humility, pain) boat project was built in collaboration with artist Eric Piroit. They sailed this uniquely designed boat from Norway to Germany and then the Netherlands. Mostly interested in underlining DIY aesthetics and engaging spectators as well as empowering them by realizing that it is possible to “do it yourself,” putting emphasis on the belief that ‘will’ is more important than technical ability, which Perry feels strongly. For me, the quirky quality of the sculptures was enough to lure me in. This entry was posted in Art, Interaction Design, Stuff We Like. Bookmark the permalink.